Faceless female mannequin with a slightly bend arm and legs astride. Stylish design at an affordable price. The head on the mannquin can be turned. 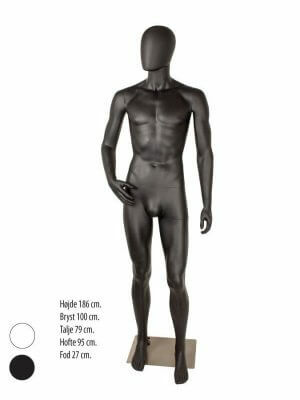 The mannequins comes with a square chrome stand with calf fitting. The mannequins are made of painted plastic making them light and easy to move. 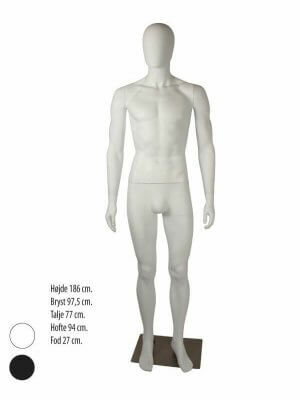 The mannequin is available in another female model and as male mannequins.